An incredibly unique classic piece, reminiscent of the 50's. Iconic TV shaped cased watch with vibrant dials. The V1-Cubic comes with a 39mm case and hardened mineral crystal. This more classic shape and size in a timepiece is becoming a rarity today in a time where most watches are getting larger and larger. 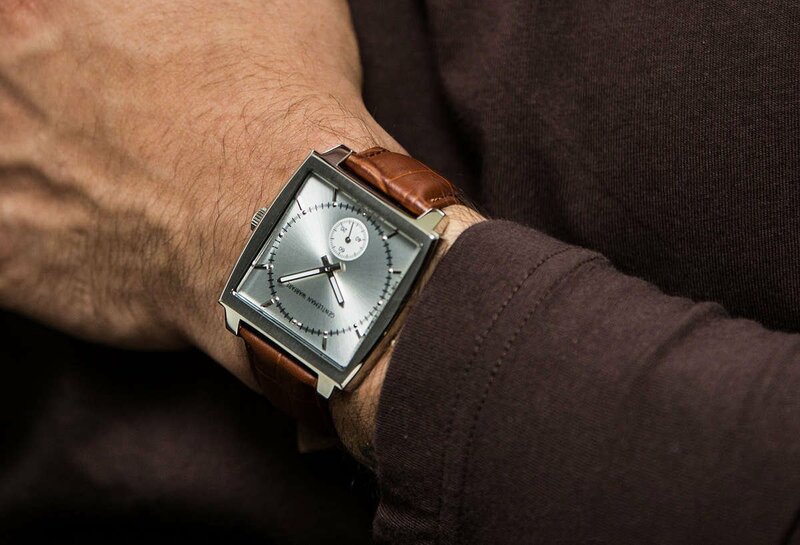 There is a nostalgia and class to the beautiful square understated piece like the V1-Cubic. To accompany the beautiful case and dial is a 100% genuine leather strap that brings out the overall elegance of the piece. Awesome watch that I've been getting compliments when wearing. The design is simple without a bunch of useless dials to confuse it's primary use, yet its elegant and refined. 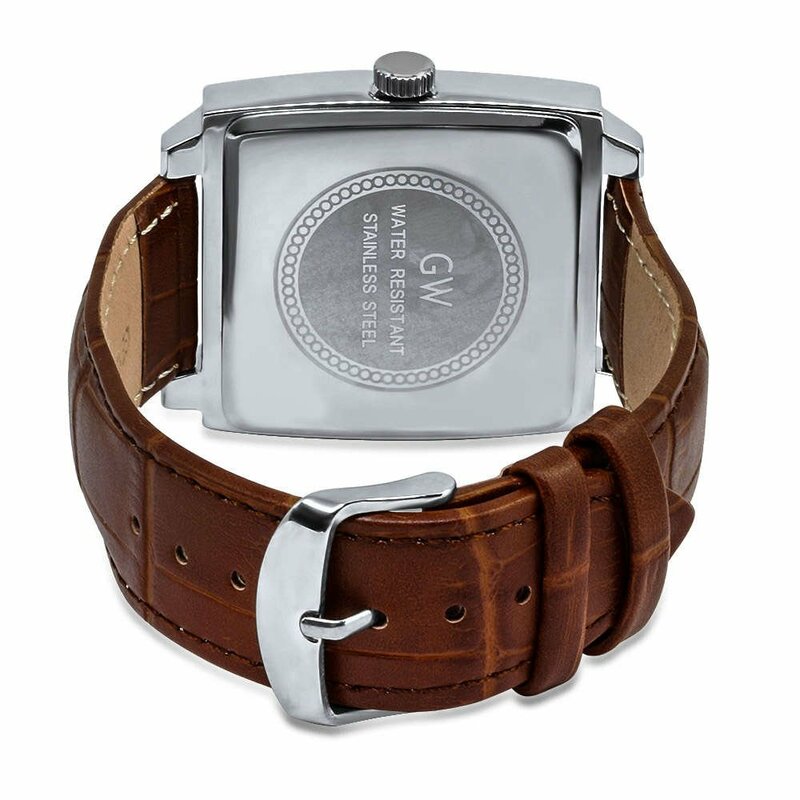 It's logo "Gentleman Warfare" describes the watch perfectly. 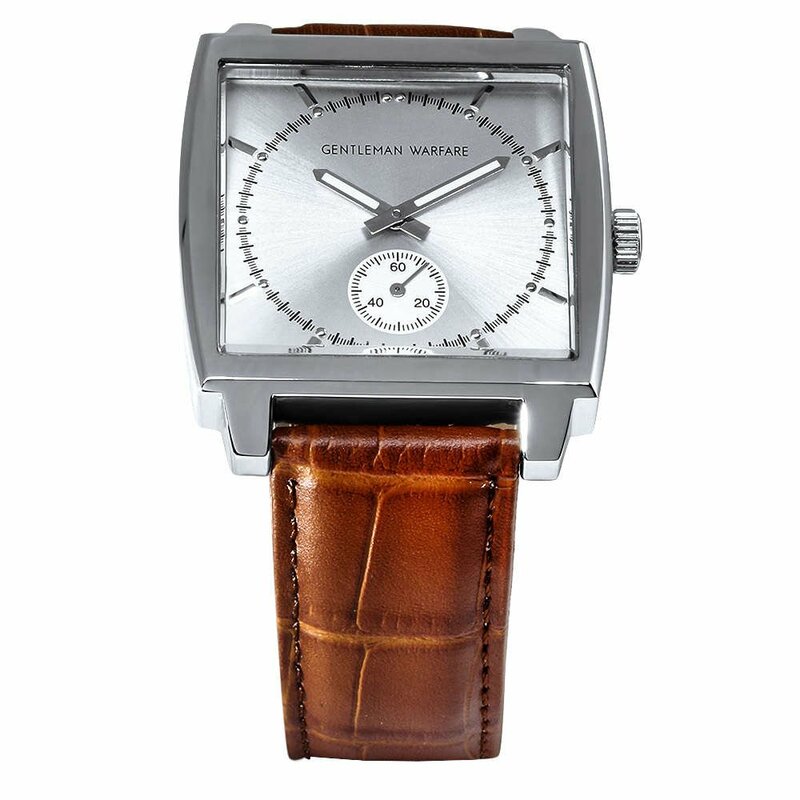 Also Egard WatchCo is a company for true men, thank you for supporting men and masulinity. I was looking for a new watch, something stylish but reasonably priced. The V-1 seemed perfect. A clean, interesting design at a solid price point. I haven't been disappointed. Solid quality and it's beautiful on the wrist. Great value for the money. The "fourth dimension" through my V1-Cubic White wristwatch looks great. I traditionally wear clunky, diehard, military grade timepieces in keeping with my profession. I needed something just as reliable, accurate and tough that was also more stylish and appropriate to semi-formal and formal wear occasions. I found all of that in the V1 at an affordable price. My tactical wristwatch is suited to combat boots and camouflage, and my V1 elegantly accessorizes my patent leather and tuxedo. Thank you. Love the watch. I bought it after Egards response ad to Gillette’s man bashing. It’s my dress watch and the first one I’ve bought in a while.. I’m sure i missed it but I didn’t know about the plastic spacer in the stem had to come out for the watch to run- maybe make it red with a pull tag.